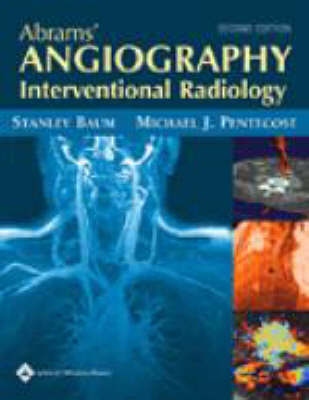 The Interventional Radiology volume of the landmark reference Abrams' Angiography has now been expanded and thoroughly revised to reflect dynamic advances in interventional radiology. More than 60 contributors representing a "Who's Who" of the specialty provide comprehensive, step-by-step coverage of all contemporary vascular and nonvascular interventional procedures. Major sections discuss today's equipment and describe interventions for specific disorders of each organ system, as well as for trauma, pediatric diseases, abscess drainage, and miscellaneous disorders. Fifteen new chapters cover cutting-edge innovations, including stent-grafts, radiofrequency ablation, CT angiography, MR angiography, uterine fibroid embolization, and vertebroplasty. More than 1,100 illustrations complement the text.